VANCOUVER, BC --(Marketwired - December 12, 2016) - Small Business BC, the province's premier resource for entrepreneurs, and the Insurance Bureau of Canada, asked British Columbians to nominate their favourite small businesses for the 14th Annual Small Business BC Awards between October 1 and November 30, 2016. The Small Business BC Awards is the largest small business awards competition in the province. These awards recognize the outstanding achievements of British Columbia's entrepreneurs and celebrate the contributions new and existing businesses registered in B.C., with fewer than 50 employees, make to their local communities and the global economy. Recipients of Small Business BC Awards are recognized with the Premier's Prize in the amount of $1,500 cash, a one-year all-access pass to Small Business BC education, resources and experts, and one-on-one business mentorship with notable advisors from the award sponsors. Small Business BC provides entrepreneurs with the information and guidance necessary to build a solid foundation for their business. Through a wide range of products, services, education and resources there's a piece that fits with every business. No matter what stage or what skill level, when an entrepreneur finds themselves asking "How do I...?" Small Business BC is the one to call. Insurance Bureau of Canada (IBC) is the national industry association representing Canada's private home, auto and business insurers. Its member companies make up 90% of the property and casualty (P&C) insurance market in Canada. For more than 50 years, IBC has worked with governments across the country to help make affordable home, auto and business insurance available for all Canadians. IBC supports the vision of consumers and governments trusting, valuing and supporting the private P&C insurance industry. It champions key issues and helps educate consumers on how best to protect their homes, cars, businesses and properties. P&C insurance touches the lives of nearly every Canadian and plays a critical role in keeping businesses safe and the Canadian economy strong. It employs more than 120,000 Canadians, pays $8.2 billion in taxes and has a total premium base of $49 billion. This year's Small Business BC Awards competition was a record-breaking year, with 699 nominations from 72 communities across the province. 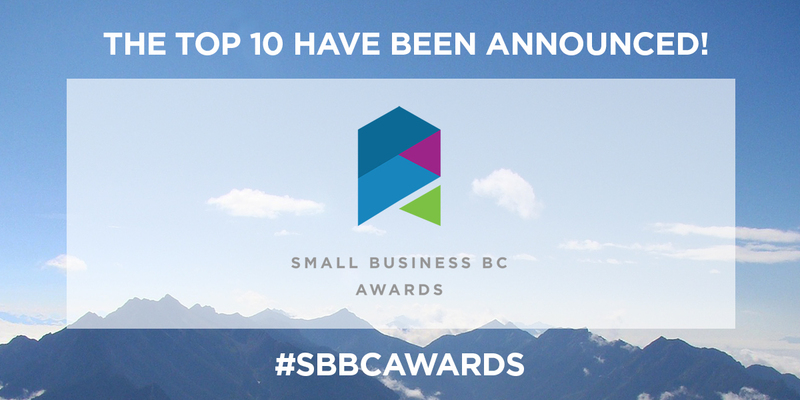 Here are the Top 10 Semi-Finalists in each category: www.sbbcawards.ca/top10s.